Mike Baron is best known as the co-creator of NEXUS and BADGER, two of the signature comics series of the indie ’80s. While the ups and downs of his NEXUS co-conspirator Steve Rude have been pretty well documented, what about Baron? We hear he’s got a revamp of the Badger simmering at the resurrected First Comics. But he’s also staying incredibly busy turning out novels by the bushel. In fact he has turned out three in recent months, with appropriately pulpy covers. Yes they are e-books, but no feverish novel about a spook called in to discover why the world’s leaders are spontaneously combusting is complete without a pulpy cover! Baron supplied the Beat with blurbs for the three—all are available for Kindle or other e-readers and in print from Create Space. He was just a rumor to the one percenters–a monstrous motorcyclist dressed all in black who rode the back roads of Little Egypt cutting off the heads of other bikers with a samurai sword. But on one terrible stormy night, Deputy Pete Fagan discovers that Helmet Head is all too real and filled with a fury that won’t be satisfied until his demonic sword drinks deeply. When world leaders burst into flame like a string of Lady Fingers, the President calls on a renegade former agent with a history of mental problems. Otto “Aardvark” White possesses a unique quality. He’s lucky. Tracing the flame-outs to an exclusive think tank in the Rockies, White uncovers an existential threat to humanity that reaches all the way to the White House. If you want to try before you buy, there are excerpts from several of Baron’s novels up at his website. While the time to read a book without pictures is a pleasure that has been denied us for many seasons, we dipped into the opening chapter of Whack Job and can confirm it is lively and well written. Writers are people who have to write. They write every day. They don’t talk about it, they do it. People who don’t write every day are not serious writers. All right. Five days a week, minimum. This is about writing comic books, but it applies to all fiction. You must know your craft, the rules of grammar, how to conjugate a verb. Don’t get nervous. Most of you already know this without the fancy labels. I see, you see, he sees. It is part of your instinctive grasp of English. Everyone needs a little book of rules. For the writer, it is Elements of Style by Strunk and White. This slim volume has been in continuous publication since 1935. It takes an hour to read and is quite droll. Buy a used copy. Do not get the illustrated version. It has been bowdlerized in the name of pc. 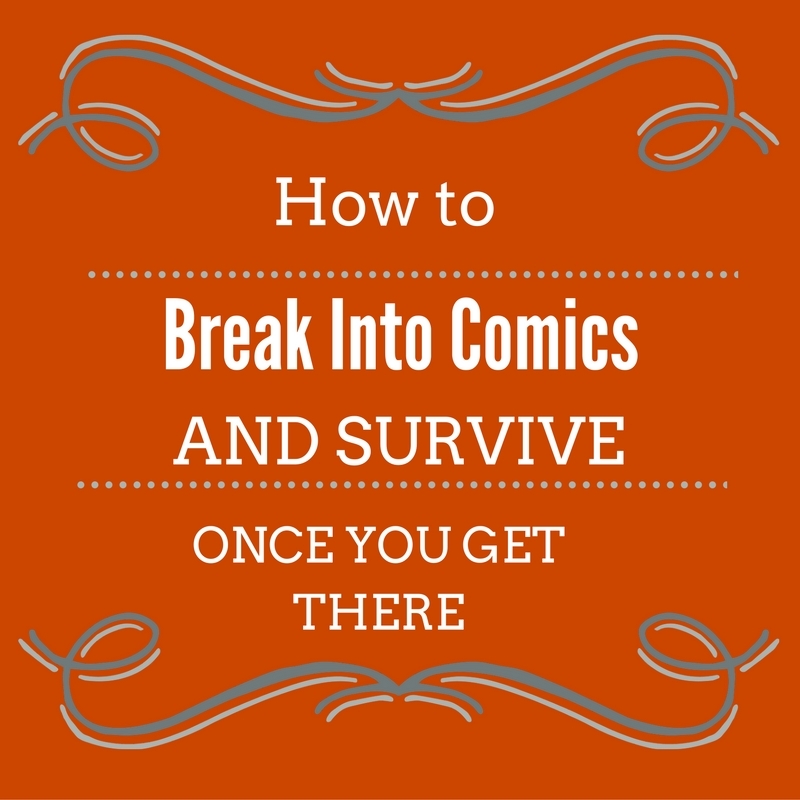 All good fiction, whether comics or otherwise, is built around character. We humans are mostly interested in our own kind. The more interesting your protagonist, the better your story. Stories start with people. The TV show House on Fox is a perfect example. Hugh Laurie’s character is so thorny and unpredictable people tune in week after week out of fascination with his personality. Same thing with Batman, since Denny O’Neil straightened him out. Prior to O’Neil, Batman wandered from mood to mood, often “humorous,” seldom entertaining. Denny made Batman a self-righteous obsessive/compulsive. Obsession is always interesting. Mike Baron has been obsessed as long as I’ve known him, and he is very interesting. If you’re looking for some lurid prose thrills, I doubt you’ll find anything more direct than the novels of Mike Baron. 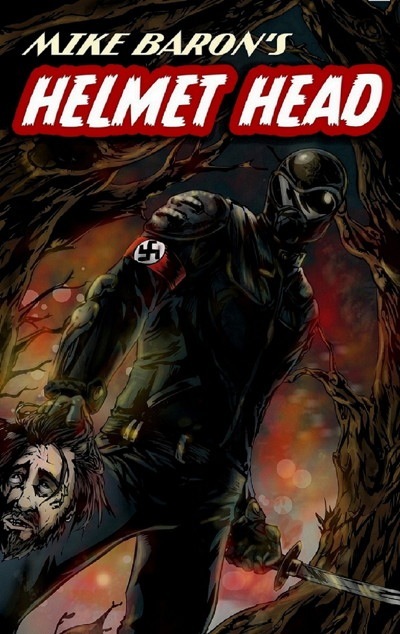 I just finished reading Helmet Head. A very riveting, very scary read. The writing is so tight, that I actually jumped at one point when my cat creaked open the door to the room. I was that engrossed in the book. Thanks, Heidi! All my novels are available in paper from createspace.com, or if you catch me at a convention. For some reason, I’m not finding them available for my NOOK. Ah, Ali, Macy’s doesn’t tell Niemann-Marcus, and Kindle will not work on Nook. Amazon and B&N are at loggerheads. 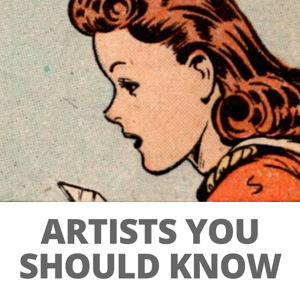 So what is the status of First Comics? I seems like ages since the news that it would be resurrected but I’ve heard nothing lately. Jeff, First is alive and well and moving fitfully. I can’t speak to other projects but Badger is going ahead full tilt boogie. The new Badger stories are the best I’ve written and the artist, Jim Fern, will stun and stupefy you. It will be great to see some Jim Fern art again. An underrated talent, in my opinion. There are very few times in my life where I’ve read a book and the pace was just so fast and action packed. HELMET HEAD is one of those books! Deep down I didn’t want the madness and excitement to end! I highly advise every book fan to pick up Mike’s latest works and dive in!